Here at JRP Tree & Demolition, tree trimming is one of our many tree care specialties. We have over thirty years of experience trimming trees here in the Houston area, and our team consists of trained and certified arborists. Our experience means that we’re experts when it comes to tree care, so when it comes to trimming the trees on your property, you can rest assured that we will trim them to meet your expectations, and to keep your trees healthy. If you’re curious about our tree trimming services and the benefits of tree maintenance, we have all the information you need. Here are some reasons why you might consider trimming your trees, the benefits of tree trimming, a few words about why you should leave tree trimming to a professional tree care crew. We’ll also touch on our emergency tree trimming services — you can count on us when you need tree care immediately. To improve the view: If you have branches that are obstructing your view, we have a simple solution. We’ll work with you to determine which branches should be cut to reclaim picturesque views around your property. We’ll also advise you as to which branches should be kept to keep your trees healthy. While you may want to remove several branches to earn an excellent view, it’s important to note that cutting too many branches may be harmful, especially if we’re cutting leader branches — the larger, vertically oriented branches that grow furthest into the canopy. Cutting these branches can hinder tree growth, since less leaves will get the sunlight they need to photosynthesize, and cutting too many branches may actually damage or kill the tree. If you’re trimming off branches to improve your view, we’ll ensure that your trees still thrive. To get rid of dead branches: If you have dead branches throughout your tree, it’s important to cut them off. These branches can be dangerous (since they can fall on your property or hit people below), and they can cause more harm to the tree. Dead tree limbs can still soak up water and nutrients from the soil — when these resources could be used elsewhere. Dead branches can also attract insects (like termites), and they can harbor mold and fungus, which can spread to other parts of the tree. Ridding your lot of dead branches is good for your tree, as well as your property. Weather-damaged branches: Lightning strikes and wind can be strong enough to break even the biggest branches. If you have branches that are weather damaged, it’s best to have them cut right away. Again, they can damage your property, and they can cause further damage to your tree. To improve your tree’s health: Tree trimming, when performed properly, can actually improve the health of your tree. Trimming off branches can help the remaining branches to thrive, since these branches will have more access to sunlight, water, and nutrients from the soil. If you have a tree that’s unhealthy, or if you’d simply like to improve the longevity and look of your tree, tree trimming may be the solution. To reduce the canopy: A full tree canopy can look great, but it can cause problems for your tree and your property. If you have a tree canopy that is too full, it can choke out sunlight for the lower branches of the tree. Plus, the same logic applies for all of the flora beneath your tree. If you have a tree that sits over your lawn or a garden, for instance, then an overgrown canopy can actually hinder the growth of that grass and those plants. And, once again, you may want to trim the canopy of your trees to improve your view. We can thin out the canopy of your trees to ensure that they are healthy and your reviews remain unimpaired. Safety reasons: Do you have a tree that is growing over your home? Or do you have a tree with branches that scrape past power lines? Then it’s time to trim those branches. You may not think about it often, but the branches on your property can slowly grow to be a danger to your property and yourself. We’ll identify any branches that are potentially dangerous, and we’ll cut them down so that you can rest easy. As we mentioned, we also provide emergency tree trimming services for those trees that are a current danger — you can learn more about our emergency tree trimming services below. Protection from insects and pests: Insects and animals may be calling your tree home. Dead tree limbs attract insects like termites, and these pests can cause damage to other parts of your tree. With proper upkeep, you won’t have to worry about the threat of insects and other pests. Protection from fungus: Like insects, fungus can take hold in the dead limbs of your trees, and it can spread to healthy limbs. Tree trimming is an excellent way to keep fungus at bay. Better nutritional availability: Trees require water and nutrients from the soil in order to thrive. If you have a tree that is growing too fast, certain branches can actually die off since they aren’t receiving sufficient nutrients or water. Trimming your trees regularly will ensure that all of the living branches receive the nutrients they need to survive. If soil nutrients are a concern, we also provide tree fertilization services to give your trees a better chance to thrive. Better views and sun-exposure: If you have a tree that’s ruining a spectacular view, or a tree that’s choking the grass in your yard since it’s soaking up all the sun’s rays, then a trim may be in order. Bring the sun back, and reclaim those picturesque views with our tree trimming services. Reduced hazards: We’ve mentioned this before, but tree limbs can be a hazard. Be mindful of dead limbs, low-hanging limbs, and branches that are growing near power lines, your home, or other structures. Cut any hazardous branches on your property. While some trees can be trimmed year round, it’s best to trim your trees in late winter or early spring. That said, if you hire a professional crew and certified arborists, they’ll be able to determine the best time to trim your trees, based on their specific species. Flowering trees, for instance, should be trimmed after they bloom, while most other trees should be trimmed in late winter, as we just mentioned. If you have dead tree limbs, or tree limbs that are a hazard to you and your property, you should have them cut right away, regardless of the season. These limbs can only cause more harm. Tree trimming can be a dangerous job, especially in tall trees or when limbs are near utilities lines. Hire a professional tree trimming service to trim areas of your tree you cannot reach from the ground. We have the proper equipment and training to remove any size of tree limb or branch from any part of the tree without injury or property damage. Have your trees been damaged in a recent storm? We’re here to help. We offer same-day emergency tree trimming services when you need help right away. We strive to remove damaged limbs from your property as quickly as possible, so that your home is safe once again. Here at JRP Tree & Demolition, we have over three decades of experience trimming trees for folks in and around Houston. We know that proper tree trimming techniques require many years of study both in the classroom and outdoors in the field. At JRP, our arborists combine science and artistry to properly trim and prune trees in order to give them long lasting life and beauty. Plus, we also offer other tree services to help you keep your trees healthy and beautiful, including topping, pruning, fertilization, tree preservation, emergency services, cabling and bracing and more! 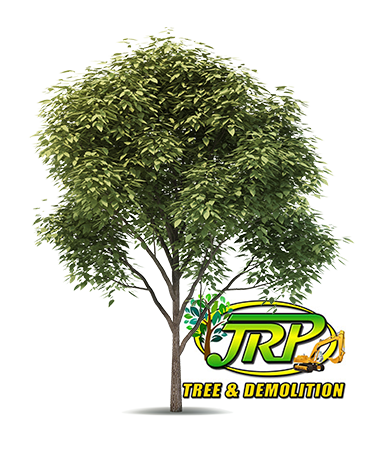 You can give new life to all the trees scattered throughout your property with JRP Tree & Demolition. Get in touch with us today to get a free quote for your upcoming tree care project!